A common item you may see in many Occupational Therapy sessions is a slant board for handwriting tasks. But why would you use a slant board and what are the benefits of a slant board for writing? 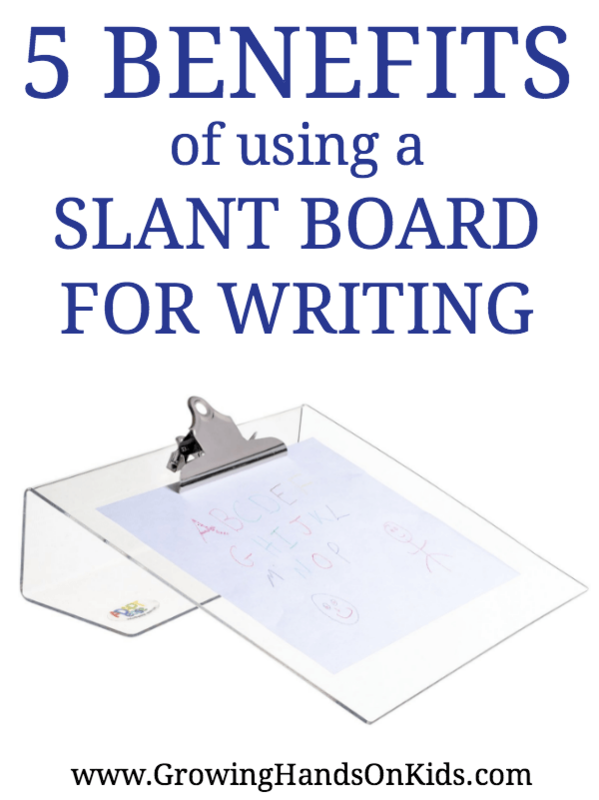 Let's look at a few reasons why an OT may suggest using a slant board for handwriting. This is a sponsored conversation on behalf of Adapt Ease, a company providing Occupational Therapy tools and products. I was provided monetary compensation for writing this post as well as a free slant board to review. The 3 Points of Positioning – A child sitting at a desk should be sitting with 3 points of a 90 degree angle: Feet planted flat on the ground, ankles at a 90 degree angle, knees bent at 90 degrees; sitting upright with the hips and torso at a 90 degree angle. When a child is slouching, using a slanted board at a 22 degree angle can assist with this positioning. Also remember if you child's feet are not touching the floor, use a stack of books or a step stool to help get their knees and feet at that 90 degree angle. Wrist Extension for Pencil Grasp – Pencil grasp is another important factor in handwriting. In order to produce legible written work, a student needs to be able to move their wrist and elbow in a fluid motion. The wrist is also in an extended or up-bent position. The slant board encourages this wrist extension during writing. Visual Tracking during Writing and Reading Tasks – Reading at an angle may reduce strain on the eyes. This is beneficial as your child is reading what they wrote during a writing assignment, all of the text is on the same plane. Increases Paper Stability – Often times you will notice a child struggling to keep their paper still while writing. This requires good bilateral coordination skills in order to hold the paper still with the non-dominate hand while writing with the dominate hand. If your child struggles with bilateral coordination skills, having a slanted writing surface with a clip to hold the paper allows them to concentrate on the writing task and not be distracted with keeping their paper still. Promotes Good Shoulder and Wrist Positioning for Handwriting – As mentioned above, not only does it help with proper ankle, knee, and hip positioning (see the 3 Points of Positioning), keeping the upper body in a more upright position allows for good positioning of the shoulder and elbow for handwriting. A child who is slouched over while writing will not produce legible work and often this is caused by fatigue because of poor core muscle strength. While working on increasing core muscle strength, using the slant board for writing can help promote good upper body positioning for handwriting tasks. An added bonus on using a slant board is for reading activities. While not necessarily OT related, the benefits of using a slant board for reading include place the text closer to the eyes which also helps with scanning and visual motor skills during reading. It also encourages better posture during reading activities, particularly when reading at a desk in a classroom setting. If you are looking for a quality slant board to try with your child, Adapt Ease offers a great clear slant board with a sturdy clip board for handwriting. It provides an ergonomic surface, a sturdy clip that can hold up to 200 pages or most early learning books, along with crack resistant acrylic construction for on the go learning. Plus, it's made right here in the USA! 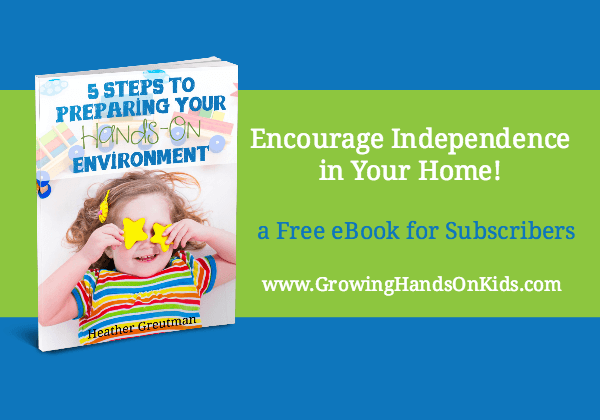 I want to thank Adapt Ease for sponsoring today's post and for offering such a great product for parents, teachers, and therapists to use with their children. Need more handwriting resources? Check out my Handwriting Pinterest board. Do We Harm Our Children by Ignoring Steinman and the Slant Board? : Greg Mischio – The Vision Therapy Center Inc.
Why Your Child Should Use a Slant Board for Writing: Greg Mischio – The Vision Therapy Center Inc.